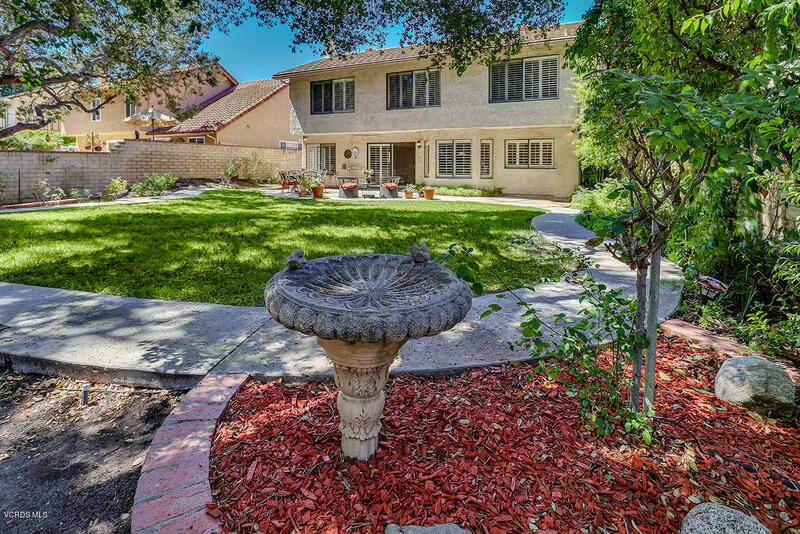 Beautiful Tudor-style home with unbelievable backyard in highly sought after location! 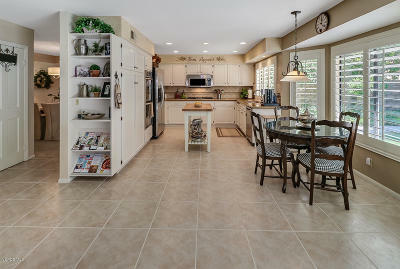 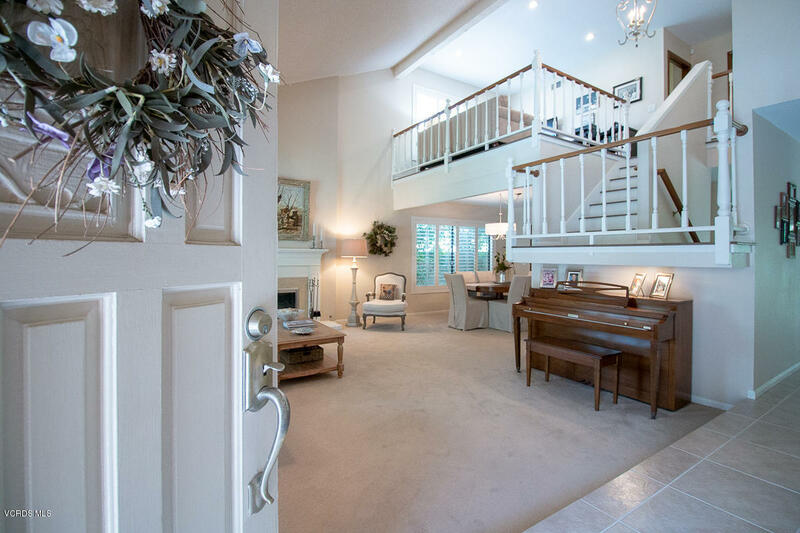 Open floor plan with dramatic vaulted ceilings, lots of windows and natural light. 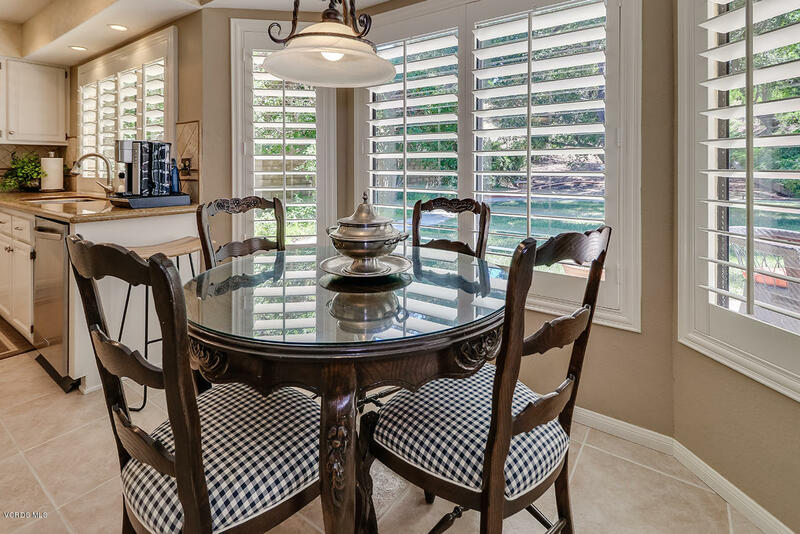 Home features designer interior paint colors, wood & tile flooring, custom light fixtures and plantation shutters throughout. 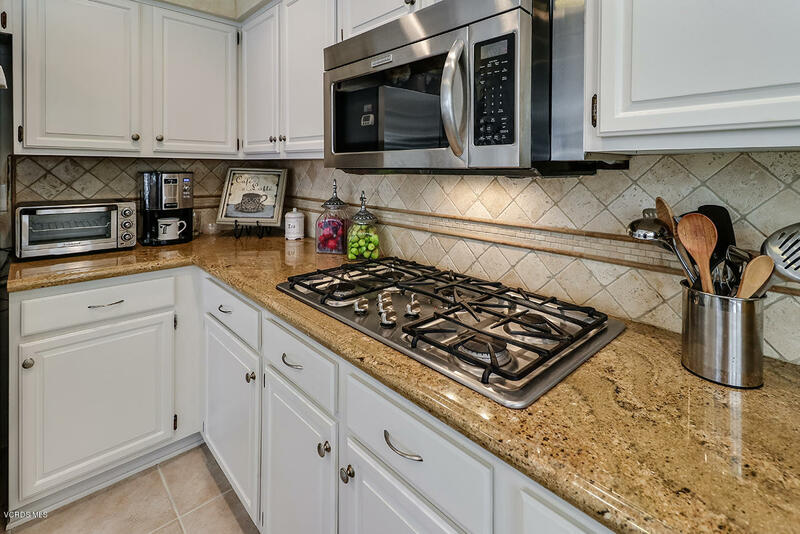 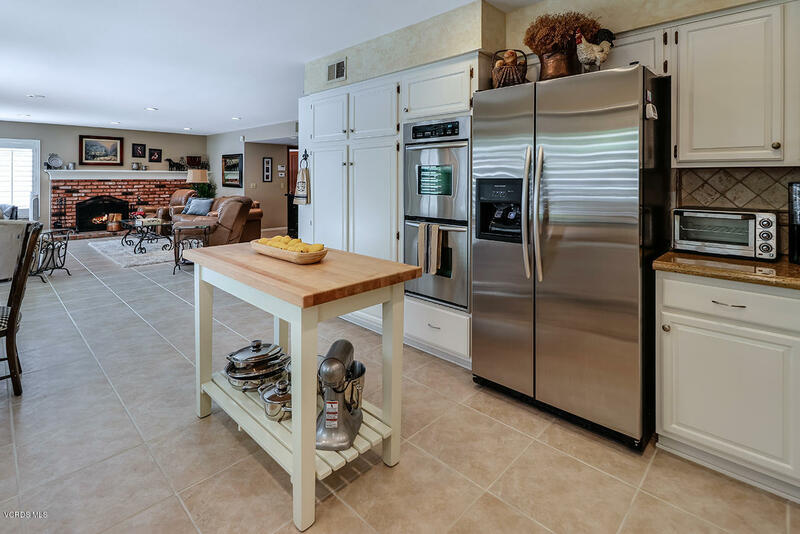 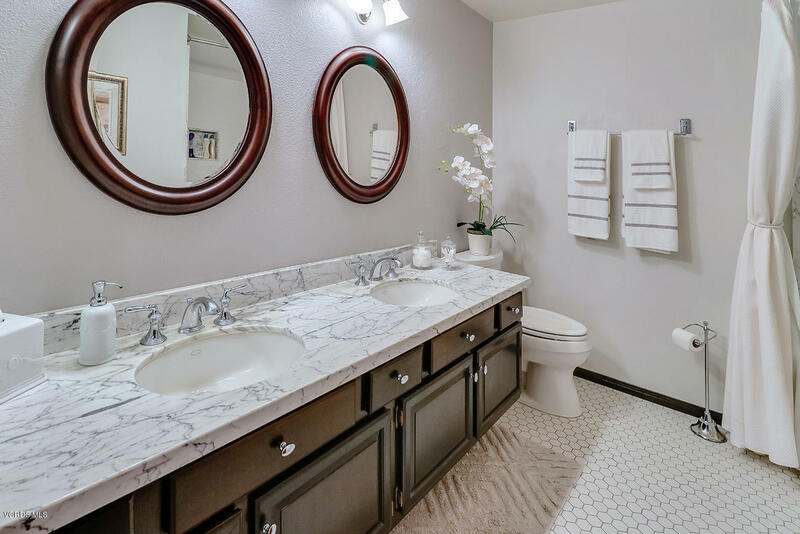 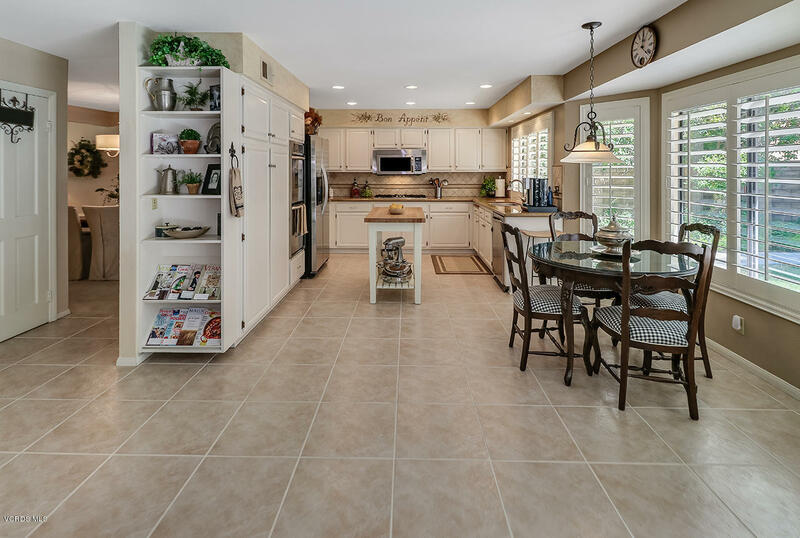 Upgraded kitchen with beautiful white cabinetry, granite countertops & travertine backsplash, stainless steel appliances including double oven & built in shelving. 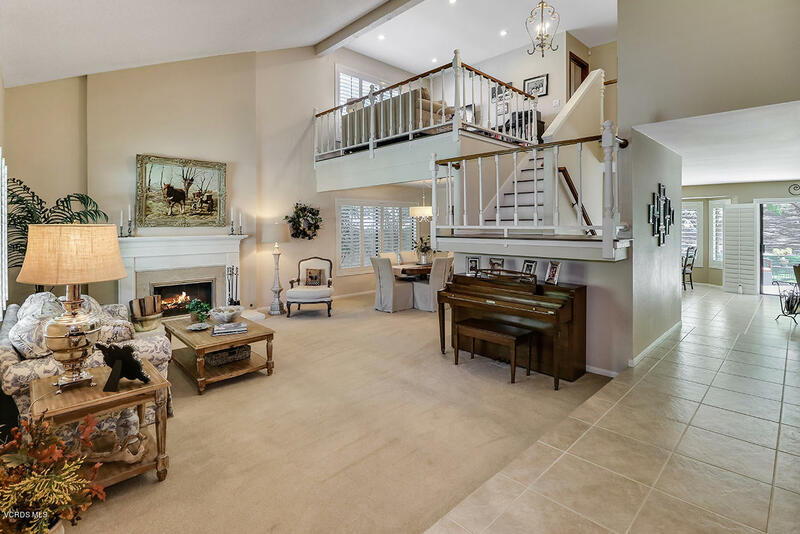 Step down living room with gas fireplace and formal dining room. 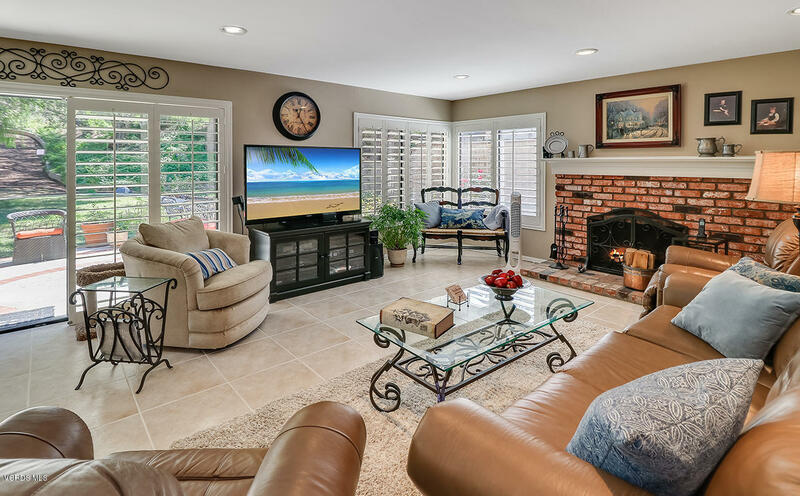 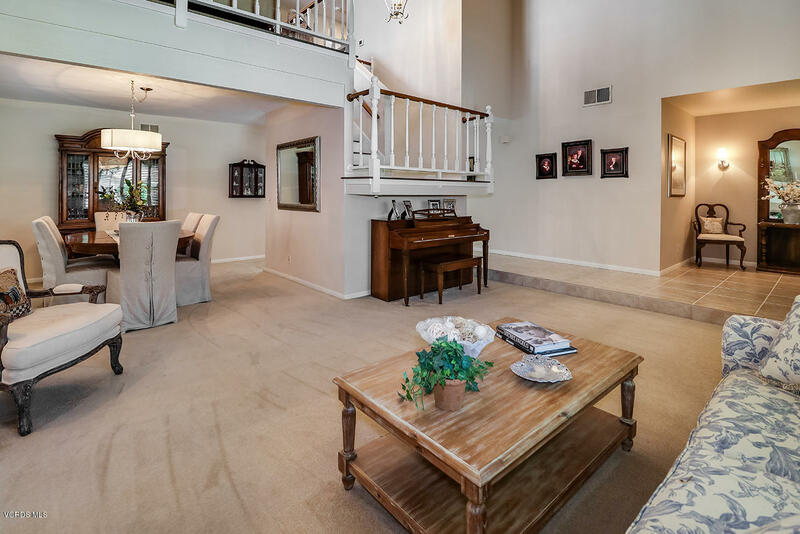 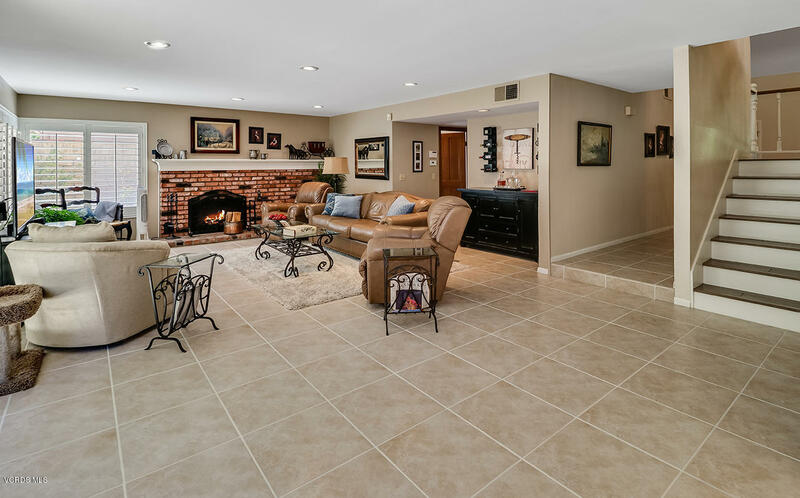 Huge family room with brick fireplace and slider to backyard. 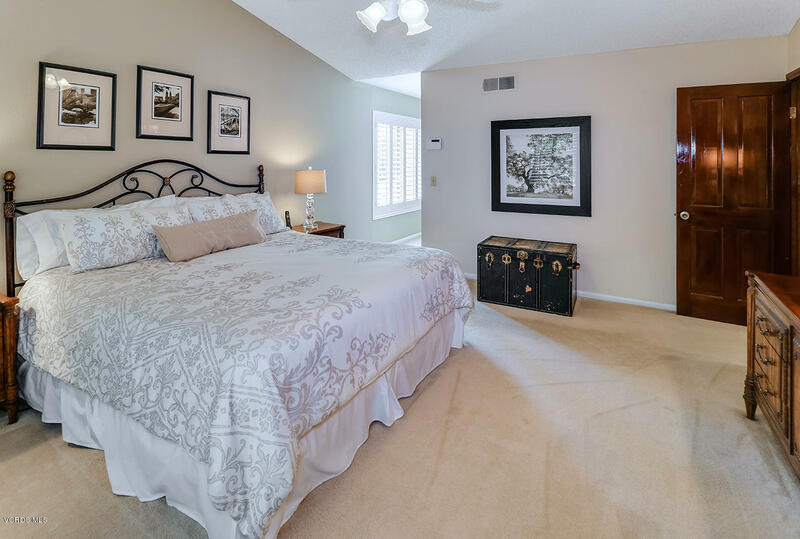 Master Suite overlooks backyard and has oversized master bath area including separate office/nursery room. 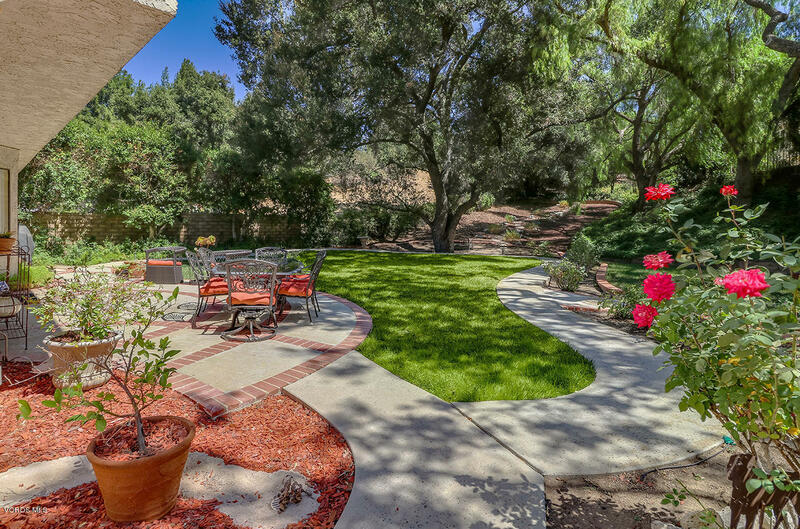 Sprawling park-like backyard with majestic oak tree, lush landscaping, huge grassy area, rose garden, water fountain, bird bath and bench for enjoying the peaceful & serene surroundings. 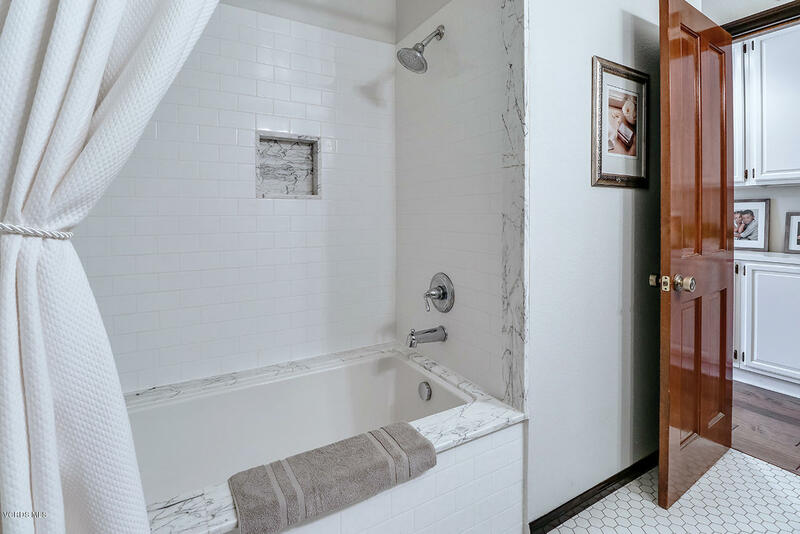 Updated bathrooms, indoor laundry, and newer dual HVAC system. 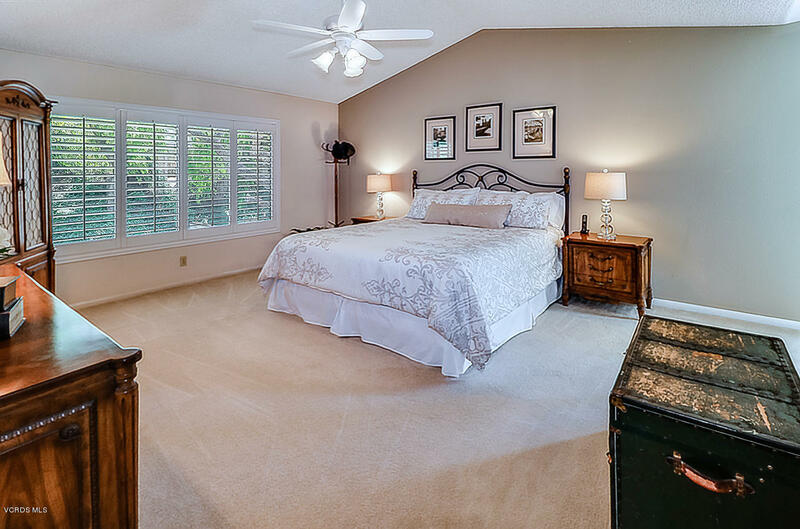 4th bedroom currently used as loft. 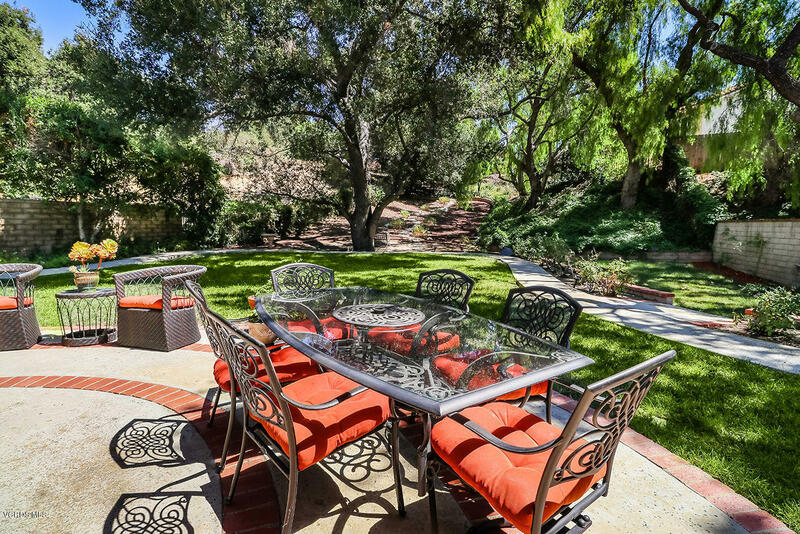 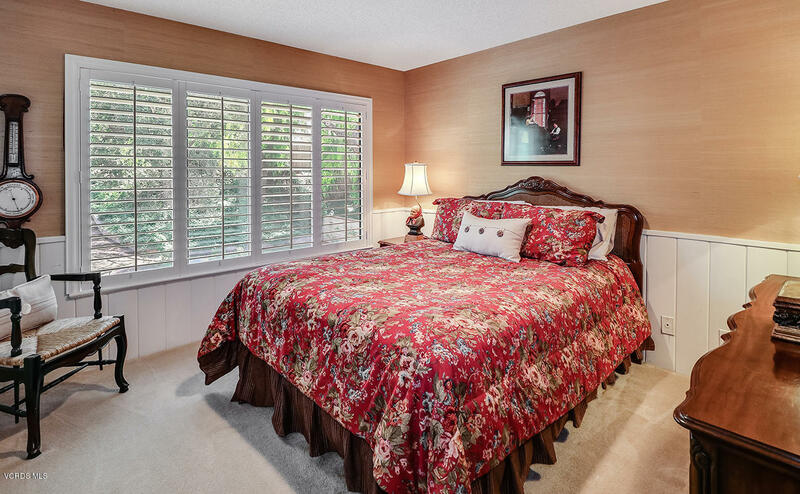 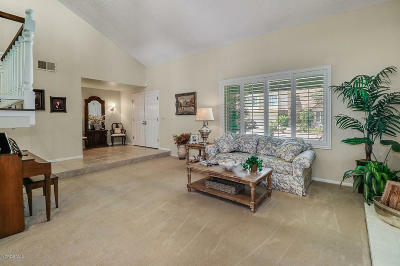 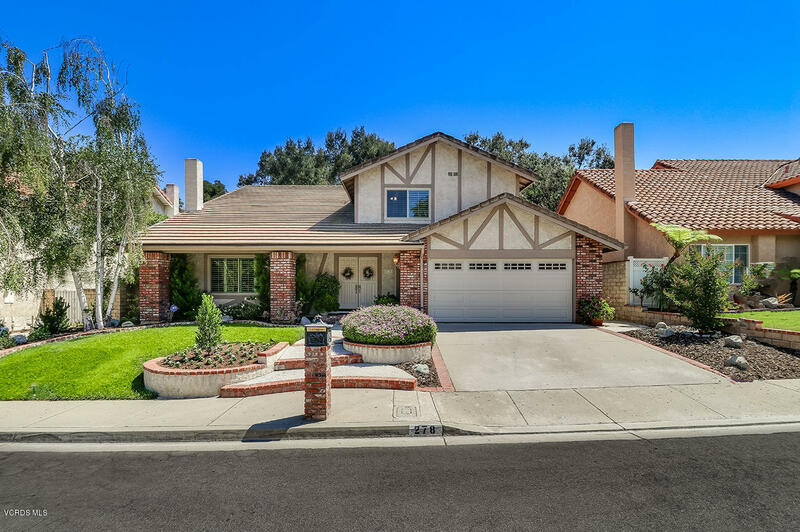 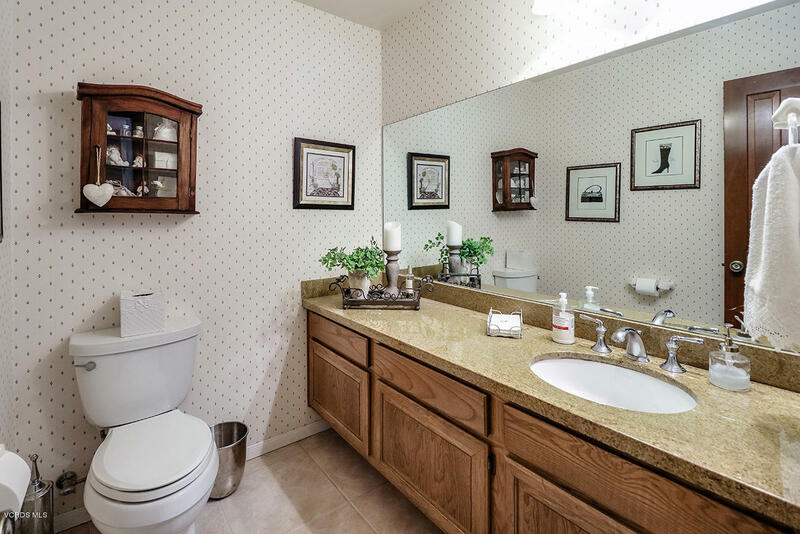 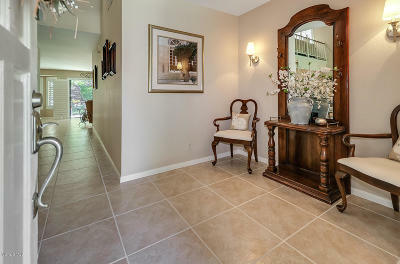 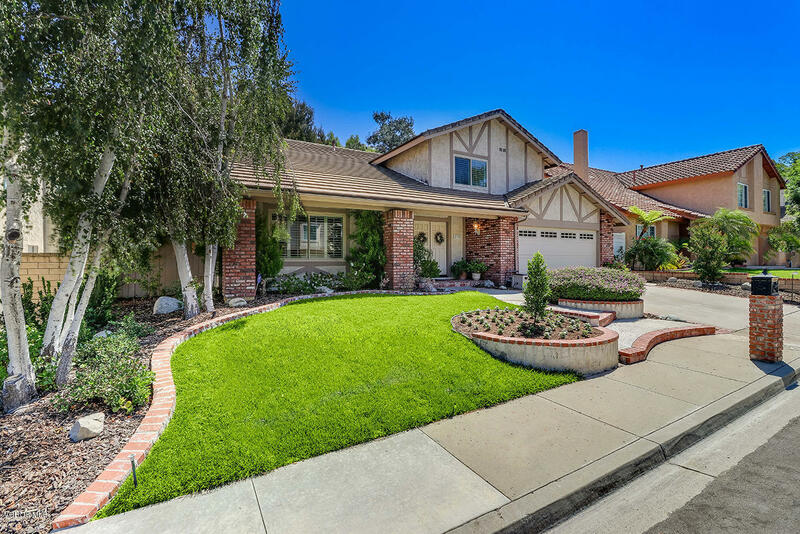 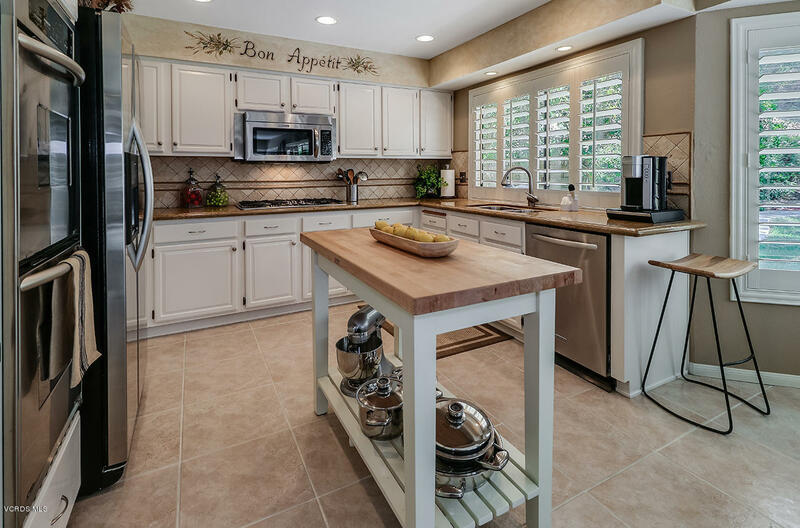 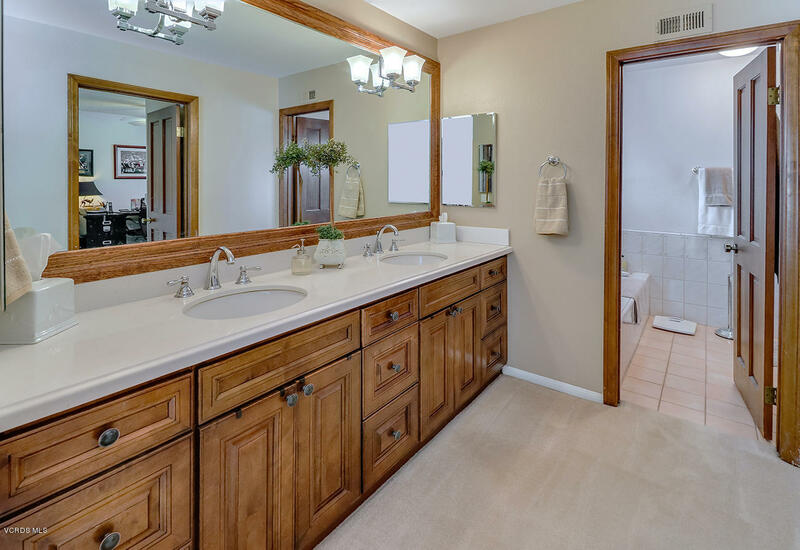 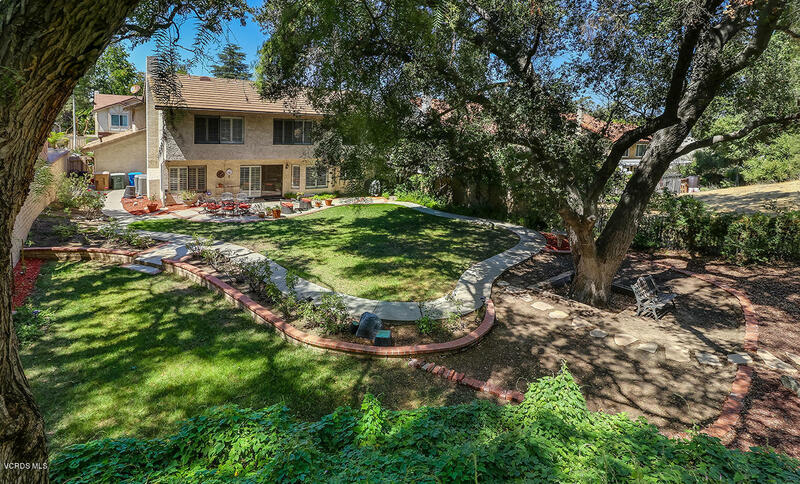 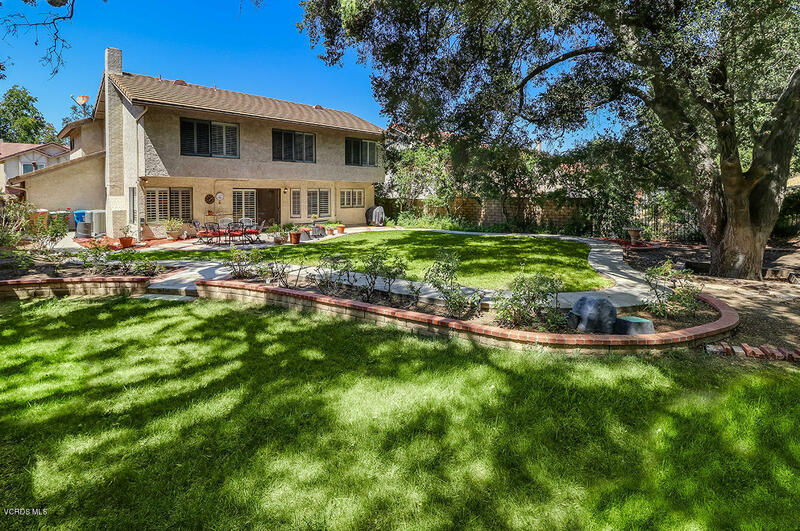 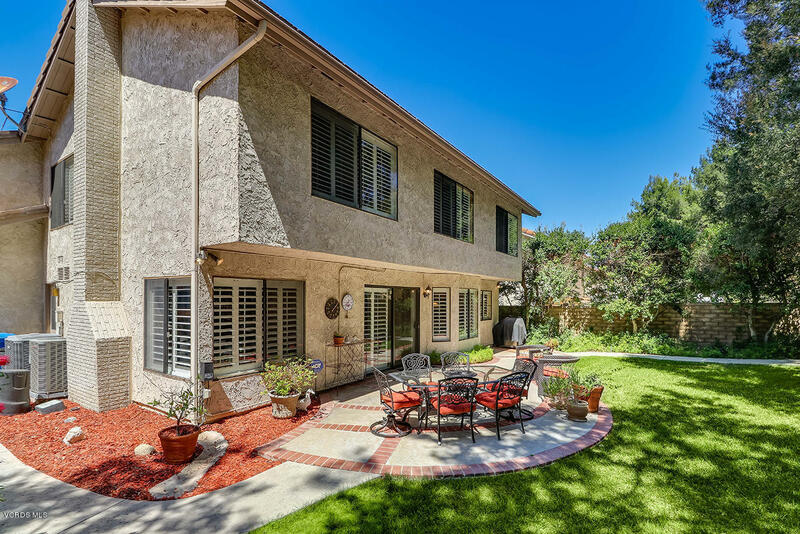 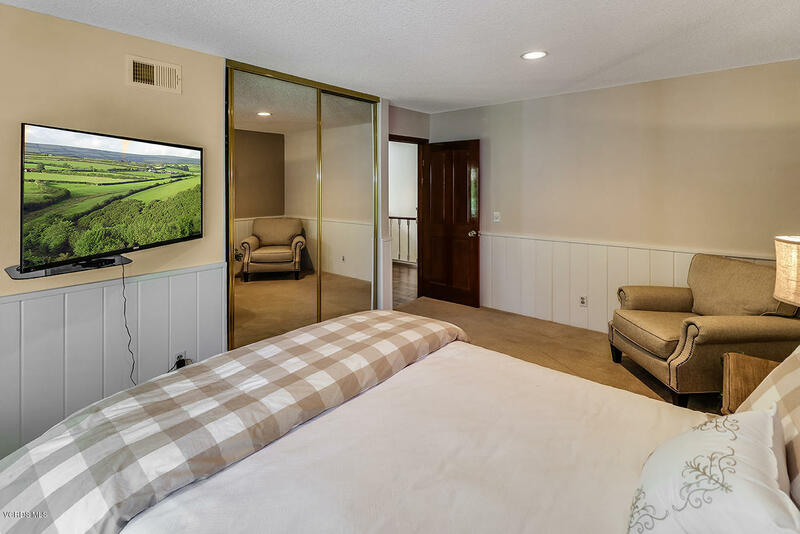 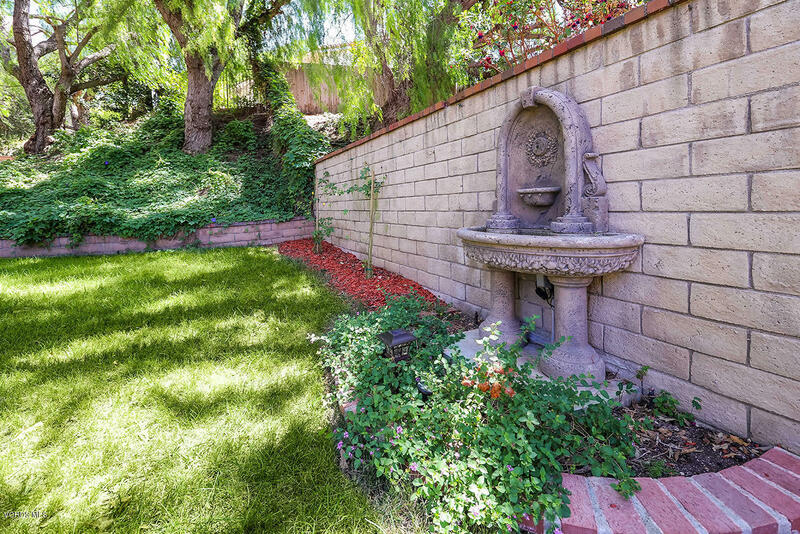 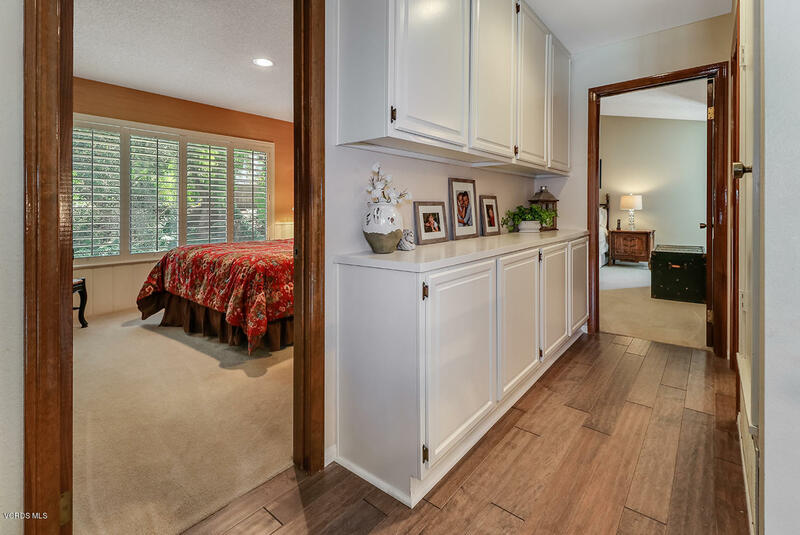 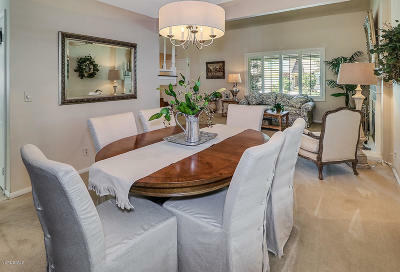 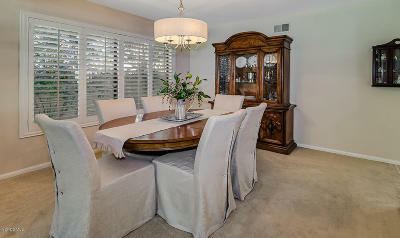 Close to hiking &biking trails, Los Robles Golf Course, shopping, restaurants, and fwy. 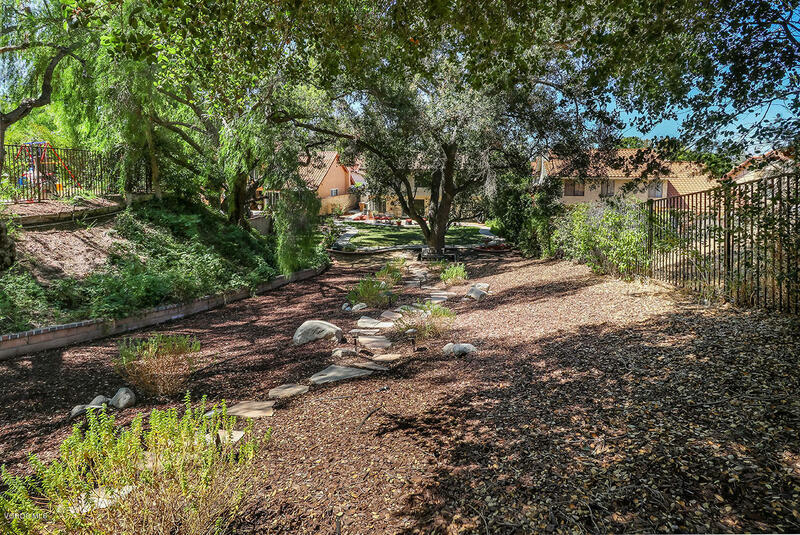 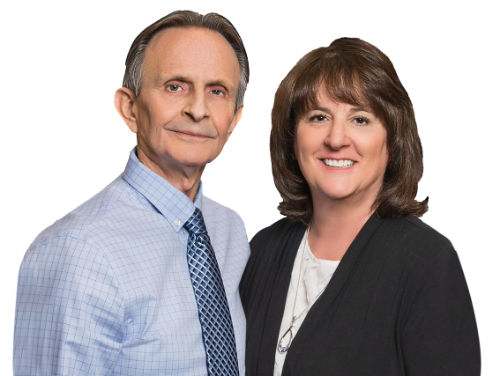 Award winning Conejo Valley School District and No HOA's!